HCFA is thankful for the support and resources provided by Christian Union. Our Bible Courses are taught by Christian Union ministry faculty. Don is originally from the Midwest and became a follower of Christ while earning a Bachelor of Science at the University of Iowa. Prior to HCFA, he was serving as a pastor in Northampton, MA, but was thrilled to return to campus ministry with Christian Union. Previous stops with Cru include the University of Wisconsin-Madison, Cornell, and he served as a civilian chaplain at West Point. Don is ordained and has an MDiv from Gordon-Conwell Theological Seminary. Don is married to his amazing wife, Sally Anne, and they have two sons, Luke and Jonathan. They are grateful to live and serve in Boston, the city they first met. Anne earned a master of arts in counseling and theology from Gordon Conwell. Her degree spans mental health and family and marriage therapy. Anne completed her undergraduate degree at Luther College, studying English and art. Anne's experience includes counseling, behavioral health, and youth ministry. She lives in the Boston area with her husband, Andrew. Renee is a native of Massachusetts. She earned her Bachelors in Criminal Justice from Boston University. At the end of her time at Boston University, she decided to pursue counseling instead of criminal law and began attending Gordon-Conwell Theological Seminary where she received her Masters in Mental Health and Marriage/Family Counseling. Renee has a passion for mentoring youth and young adults and has been leading the youth group at the Arabic Baptist Church in Newton, Massachusetts since it began. 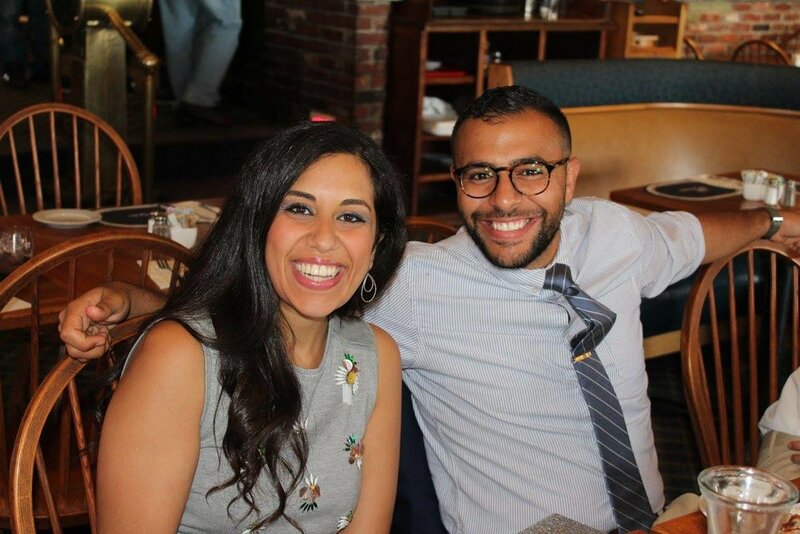 She also loves to sing and lead worship with her husband, Fady. When she's not hanging out with teenagers or singing, Renee enjoys coffee dates with friends, the beach, and baking! She is so excited to join the CU team at Harvard this year! Fady was born and raised in Cairo, Egypt. His family moved to the Boston area in 2002. He earned his Bachelor’s in Urban Studies from Worcester State University. After a radical encounter with Jesus during college he quickly sensed a call to ministry and began to serve at his local church. He holds a Master of Divinity from Gordon-Conwell Theological Seminary and is ordained with the Southern Baptist Convention. Fady attends and serves at the Arabic Baptist Church of Boston, where his whole family came to faith, and where he teaches the youth and leads worship. When not reading books, Fady enjoys cooking with his wife Renée, watching superhero movies and discussing theology over black coffee. Christine was born and raised in Germantown, Maryland. She earned her Bachelors in Fine Arts with a Minor in Art History from the Fashion Institute of Technology in New York City. Most recently she completed her Master of Divinity from Gordon-Conwell Theological Seminary in South Hamilton, Massachusetts. While there she worked as a youth pastor in Woburn, Massachusetts. Her passions include teaching and preaching the Bible, evangelism and homeless ministry, both locally and abroad, and mentoring young women. She joined Christian Union as a volunteer in the spring of 2015 and joined the faculty later that summer. Christine loves all things Maryland and enjoys time with her family.